Ahlam’s numerous skills in sewing and hairdressing were confined between four walls until a women’s creativity center was opened in her town. “When I heard about the center, I immediately joined it and there I found what I was looking for”, said the 20-year-old girl, describing it as a big step towards empowering women in her community. 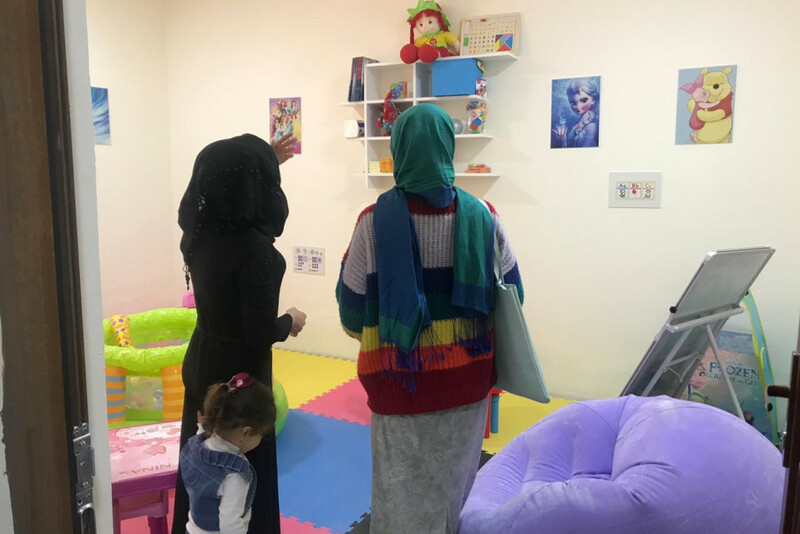 “The center also deals with the social problems of women in Talafar through a number of specialists; and we are also in contact with the Community Policing Program which is supported by the International Organization for Migration (IOM)”, she told KirkukNow. Qamar Ali noted that the center also provides psycho-social support services for women. It also includes a theatre, a coffee shop and a meeting hall. The center works to raise women’s awareness of their rights and provides a space for exchanging ideas and experiences. Furthermore, it aims to enhance social cohesion among the diverse communities of Talafar which were affected by conflicts between 2004 and 2017. “Women’s desire to join the center encouraged us to plan for opening new such centers in other towns”, said Rawa. Talafar hosts many a great number of talented women, and the center will work to develop these talents and provide the tools needed to empower women here”, she concluded.